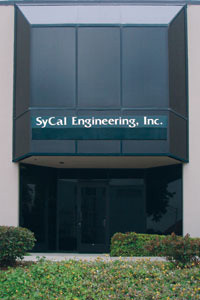 SyCal Engineering was founded in South San Francisco, California in 1998 by a majority of the owners of Azpex (Aspect) Automation. With years of technical and hands-on experience in designing and installing automated control systems, SyCal is recognized for the high quality, competitive solutions that we provide to our clients. Our senior engineering staff is comprised entirely of licensed professional engineers committed to delivering only superior engineering solutions. We provide a wide range of engineering services including engineering design, controls systems programming, systems integration, database solutions, custom software development, equipment specification, control panels, instrument calibration, commissioning, training, service, and support. SyCal has completed over 160 projects nationally and internationally. To be the preeminent control systems engineering company delivering only the highest quality, value added solutions to our clients while remaining committed to safety and integrity.